Household incomes are around £1,500 year lower today than they were expected to be before the Brexit referendum – with the UK having experienced the sharpest income growth slowdown of any economy for which the OECD publish data. This publication focuses on the UK’s economic performance since the EU referendum, but also goes beyond the usual focus on GDP to look at the impact on household living standards across the UK. Our analysis shows that our underperformance since 2016 is largely a UK-specific issue, with global growth over the whole period actually outperforming pre-referendum expectations. The UK has gone from being one of the fastest growing economies in the G7 pre-referendum, to one of the slowest. It also demonstrates that the UK’s strong performance on employment since the referendum has been outweighed by higher inflation and weaker nominal pay growth. 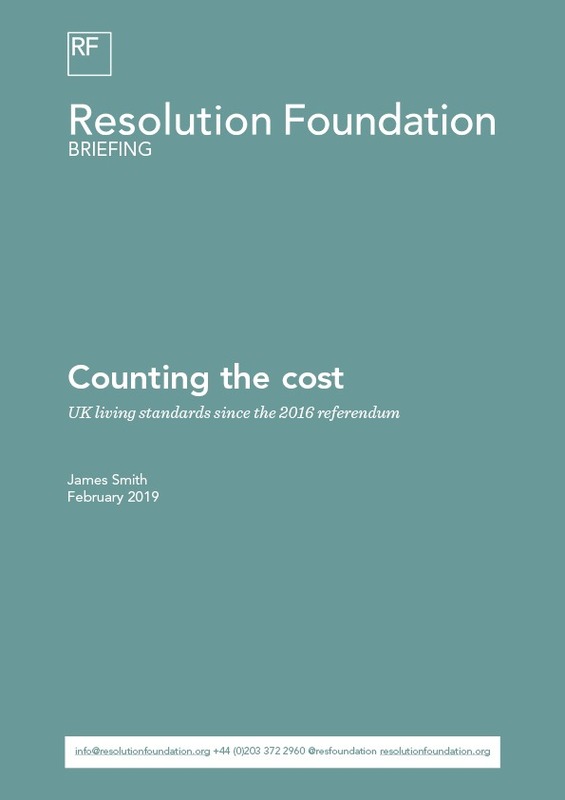 By the end of 2018, real household disposable income was £1,500 a year lower than the Office for Budget Responsibility’s pre-referendum forecast – with over half of this income hit due to higher than forecast inflation. This publication finds that that while income growth across most advanced economies has underperformed in recent years, the UK has experienced the biggest slowdown of all, from 4.9 per cent in 2015 to -0.1 per cent in 2017. Had household incomes grown in line with other advanced economies they would have been £2,000 higher in 2017.